Thanks to the energy savings function, DOMINA Hotel avoids unnecessary energy and economic wastes. 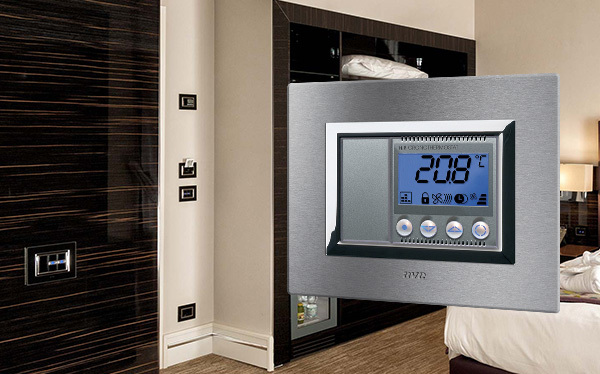 The hotel automation system developed by AVE is designed to ensure maximum comfort for guests, but also to help the hotelier in the management of its own structure and thus to minimize its energy consumption. DOMINA Hotel is able to detect the guests’ presence inside their rooms. In their absence, the system starts to disconnect superfluous loads – such as lighting or air conditioning – in order to avoid an excessive energy expenditure. Through the device “Luce Amica”, Ave hotel automation can actively intervene in the lighting management, detecting the presence of people and verifying the amount of light inside the rooms (twilight function), thus to adjust the artificial lighting only when it’s strictly and truly necessary. 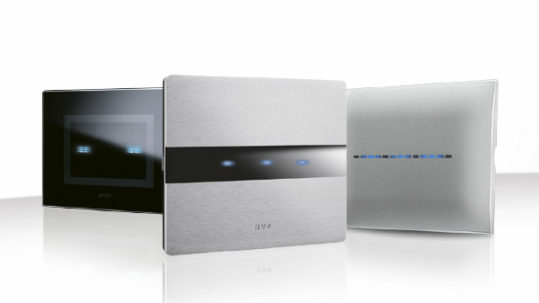 The Ave’s thermoregulation devices have inside an innovative technology known as High Precision Thermostat. This technology provides an extreme detection accuracy of the temperature by reducing expensive periodic variations of the ambient temperature. Properly configured DOMINA Hotel can identify the presence of open windows and, in a fully automatic way, it can turn off the air-conditioning and heating systems in those areas. Associating to the advanced Ave’s hotel management system, home automation and the load control device (cod. 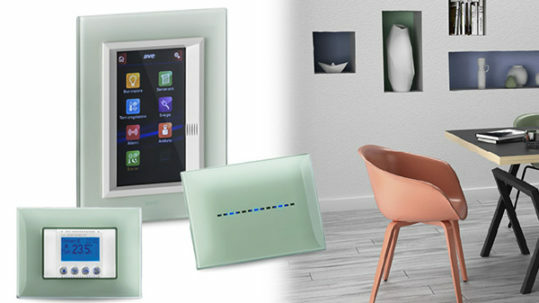 53AB-ECO), you can also manage the maximum power of the system and disconnect automatically any appliances, in case of electrical overload, thus avoiding possible blackouts and reducing consumption peaks that would increase the management costs. The device 53AB-ECO implements the ECO function allowing a separate management of loads activation (by a timer) allowing in this way to exploit the various contractual formulas currently on the energy market. Thanks to Ave DOMINA Hotel, the management of your hotel has never been so simple and optimized. To a lower consumption equals a better energy classification and consequently an added value for the structure that can then increase the economic value of the building.